Metro Detroit, Michigan Bankruptcy Attorneys | Gold, Lange & Majoros, P.C.Gold, Lange and Majoros, P.C. That Get The Results That Matter. Gold, Lange & Majoros, P.C. 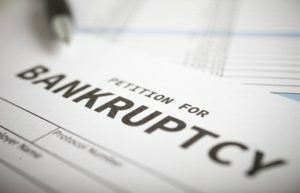 offers the leading chapter 11 bankruptcy representation for businesses in Michigan. Learn more about the importance of having an experienced bankruptcy law firm on your side by selecting the button below. Gold, Lange & Majoros, P.C. is the leading chapter 7 bankruptcy law firm in the state of Michigan. Learn more about the importance of having an experienced bankruptcy law firm on your side by selecting the button below. Gold, Lange & Majoros, P.C. helps those who need to restructure their debt with Chapter 13 Bankruptcy representation. Learn more about the importance of having an experienced bankruptcy law firm on your side by selecting the button below.